During a two day visit to Pakistan next week, Chinese President Xi Jinping is expected to finalize a $46 billion deal which will jumpstart Pakistani infrastructure projects and strengthen ties between the two nations. According to Pakistan’s foreign ministry, President Xi will visit on Monday and Tuesday, and plans to cement several multi-billion dollar agreements. If the deal goes through, Chinese will invest $34 billion in energy contracts and $12 billion in infrastructure projects. The move is likely to worry US officials. As tensions rise between Washington and Beijing over the construction of artificial islands in the South China Sea, the US has expressed concerns about the growing influence of China in the region. Stronger ties with China’s neighbor to the west will likely increase those concerns. But Pakistani officials think that a Chinese partnership will prove beneficial. "China treats us as a friend, an ally, a partner and above all an equal – not how the Americans and others do," Mushahid Hussain Sayed, chairman of the Pakistani parliament’s defense committee said, according to Reuters. The projects will focus on the construction of a roads and railways which would strengthen trade along the Pakistan-China Economic Corridor. That trade route has grown by $6 billion in the last eight years, and improved infrastructure will allow further that growth. The deal could provide China with alternative trade options, should tensions in the South China Sea escalate further. During his trip, President Xi is also expected to discuss terrorism concerns in relation to Muslim separatists in China’s western Xinjiang region and militants in Pakistan’s east. Instability in either region could threaten the trade route. "One of China’s top priorities on this trip will be to discuss Xinjiang," a Western diplomat in Beijing told Reuters. "China is very worried about the security situation there." Islamabad is also expected to purchase eight Chinese submarines, worth between $4 billion and $5 billion, which could be based at Pakistan’s Gwadar port, at the western end of the Economic Corridor. If officiated, that deal could also lead to the construction of a Chinese refueling station in Gwadar, and would allow Beijing’s navy more direct access to the Indian Ocean. Pakistan has also been exploring partnership options with Russia. 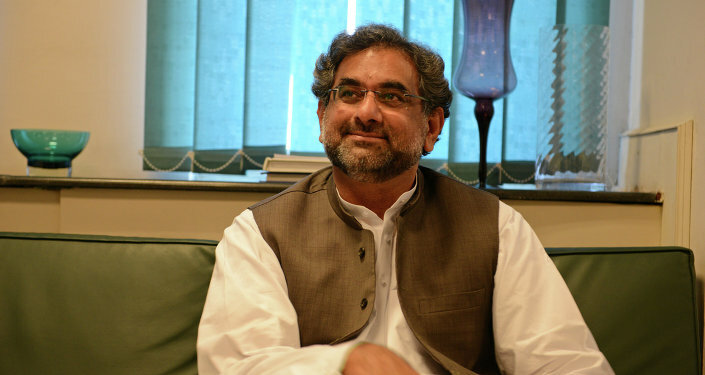 "We have asked the Russian energy minister to have the Russian oil and gas exploration companies to visit Pakistan and look at the oil exploration in our country," Shahid Khaqan Abbasi, Pakistan’s petroleum and natural resources minister, told Sputnik. "So, hopefully, they will visit us within the next couple of months."